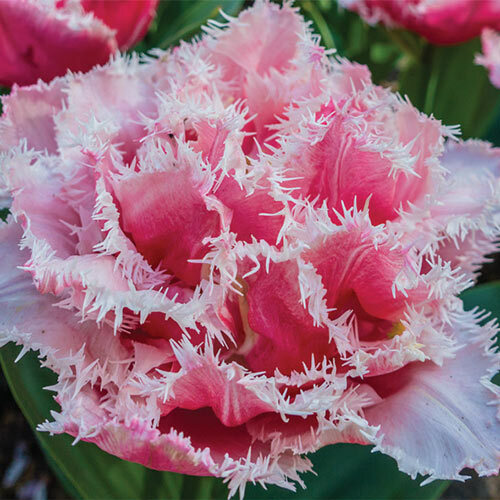 Get a conversation started with a tulip that is not often found in the landscape. Unique Queensland will draw plenty of attention when its deep rose-red flowers come into full bloom. Their petal color is rich and riveting, but it's the light pink fringed edges that really steal the show. These tulips are striking and make a wonderful choice to create a sophisticated display in decorative pots, cutting gardens and mixed beds. Plant them in larger groups for greater impact. Their 16-18" height is ideal for adding color and interest to the front of a sunny border or along a walkway.